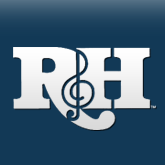 "News from The R&H Theatre Library ROGER MILLER, ""THE JEROME CORN OF THE AMERICAN MUSICAL"""
This summer, a unique version of BIG RIVER rolled on to Broadway captivating critics and audiences alike. A collaboration of The Roundabout Theater Company and Deaf West Theater, this BIG RIVER masterfully wove together performances by hearing/vocal actors with non-speaking, deaf performers. The result, ""an energetic and inventive new revival,"" in the words of the New York Times' Ben Brantley, focused on the artistry and opportunity for integrating hearing and non hearing actors in what Terry Teachout of the Wall Street Journal called ""a miraculous theatrical spectacle."" But this production also shone a ligbt on BIG RIVER itself a sprawling epic musical written by Roger Miller and Williamn Hauptman, based on Mark Twain's great American novel, THE ADVENTURES OF HUCKLEBERRY FINN. 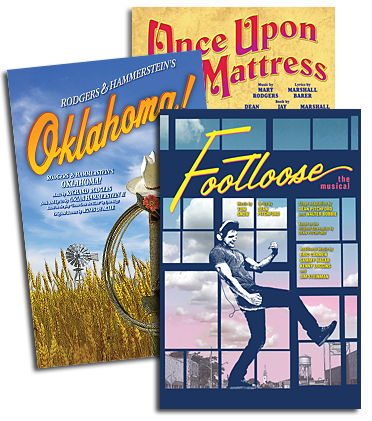 The R&H Theatre library is proud to represent BIG RIVER, which won seven Tony Awards c in 1985 including Best Musical. Here, BIG RIVER original producer Rocco Landesman, remembers songwriter Roger Miller. What the hell was that? I remember thinking. Is this guy crazy? The answer, I found out some 20 years later, was, more or less, Yes. Id like to see the world and all. And take a run through Arkansas. Im the king of Kansas City: no thanks Omaha, thanks a lot. What is the rhyme there, exactly? Does it count if the word is the same but the meanings are different? The story of my friendship with Roger Miller is an old and familiar one: its the relationship between the genius and the ingenious. The occupational hazard of the facilitating class the legions of producers, agents, lawyers, editors, well, there are so many of us is the temptation to blur the distinction between midwife and mother in the artistic process. If we are that intelligent. surely we must also be talented; being clever couldnt be all that different from being creative. When I met Roger Miller I was still young enough, and had accomplished little enough, to know the difference. He was, in my view the most original songwriter in America. I was a fan and my wife at the time. Heidi (who would co-produce and design the original BIG RIVER). had an idea that my favorite songwriter was the perfect choice to write a score for a musical adaptation of my favorite novel. My first real meeting with Miller occurred in his dressing room after a concert in Reno in 1982. I went there to try to convince him to write our score, a long shot since not only had he never written a musical. he had never seen one (he later joked. Rocco made me an offer I couldnt understand). Our eventual opening on Broadway was not as thrilling as the personal concert Miller performed for me that summer night. Sitting on a backstage couch with only a guitar he sang maybe 15 of my requests. and since he wasnt exactly sober, I was happy to help here and there with the forgotten lyrics. In an astounding creative burst over a two year period in the mid-l960s, Miller had written and recorded a dozen chart-topping hits and won 11 Grammy awards. Always an eclectic and wide-ranging songwriter. Miller moved comfortably from the conventional love ballad with a twist (The I.ast Word in Lonesome Is Me) to the outlandish (You Cant Roller Skate in a Buffalo Herd) or tart (The Days of Our Wives), to the occasional masterpiece (King of the Road is arguably the greatest country song ever written, but is inarguably one of the most successful, becoming a No. 1 hit on both the country and pop charts simultaneously). Millers voice blended perfectly with Twain s, not only in accent and vocal rhythms but in its mix of playfulness, lyricism and moral urgency. But his style did not lend itself to the writing-to-order required of a Broadway show. Eventually Miller decided to approach the score the way he approached his earlier work: he would write around the assignment rather than to it. His genius had always been to see everything on the bias, off-kilter, and in doing so, he made it new. His intent he once said, was to deal reality a glancing blow. River, I've never seen the sea. Peace of mind is not a term I would readily apply to a sensibility as restless and crooked as Roger Millers, but in the five or so years between the success of BIG RIVER and death, he seemed to me to be taking more satisfaction from his life. With his wife, Mary and their children, Miller lived at a slower pace in Santa Fe, N.M., and his ever-present hint of a smile began to convey some pleasure as well as the more usual sardonic bemusement. Miller enjoyed the notion of a musical by a high- school graduate from Erick, Okla., playing its first performance at Harvard, and he lived to see his son covered by the widest conceivable range of artists: k. d. lang and Barbra Streisand, Willie Nelson and Ringo Starr, George Jones and Dwight Yoakam among them. Since he was always just a little off (he liked to say he was 20 minutes ahead of his time), it didnt take so long for others to catch up, and he began to feel more confident that his work would endure. Self-deprecating humor was part of his armor the Jerome Corn comment, or his deadpan observation that old songwriters never die, they just decompose but he felt real pride that he alone among his peers had made the leap to success in the legitimate theater.